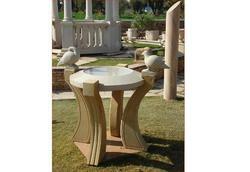 Sandstone Bird Bath for outdoor garden use. 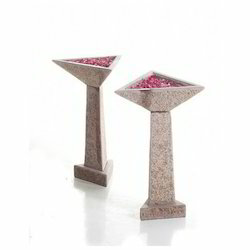 Dimension : 24" x 18" x 12"
Use these small bird baths easy to place in any corner of your villa. Item Size: H-37", L-37", W-37"
We are the leading manufacturers and suppliers of the Sandstone Garden Birdbath. We offer a wide range of Garden Accessories that is used to provide classy look to gardens. These accessories reflect superior skills and artistry of our craftsmen, who use innovative techniques to design pleasing and attractive Garden Accessories.